1955-57 Bowman/Topps Baseball Collection (14). 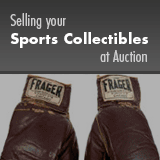 Offered is a 14-card collection of baseball cards from 1955 thru 1957. Includes: 1955 Bowman (3) - #'s 10 Rizzuto (SGC 82 EX/MT+ 6.5), 134 Feller (VG/EX), 171 Roberts (VG); 1955 Topps (2) - #'s 28 Banks (VG), 198 Berra (SGC 70 EX+ 5.5); 1956 Topps (7) - #'s 10 Spahn (EX/MT), 15 Banks (EX), 20 Kaline (GD), 33 Clemente (SGC 50 VG/EX 4), 107 Mathews (EX), 187 Wynn (SGC 84 NM 7), 200 Feller (EX); 1957 Topps (2) - #'s 20 Aaron (SGC 55 VG/EX+ 4.5), 62 Martin (SGC 80 EX/NM 6).